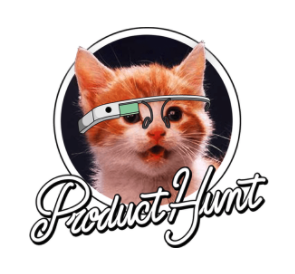 One of the daily email newsletters to which I subscribe is Product Hunt, founder by Ryan Hoover. This carefully distilled selection of serendipitous new gadgets, apps, podcasts, and productivity tools rarely ceases to surprise me. Invariably, they make my professional life easier and home life more enjoyable. Product Hunt eliminates the frustration we all have felt slogging through the myriad offerings of the App Store or Google Play. MuckRack: Some years ago, I co-developed an app called MatchPoint, which surfaced the names of reporters to “pitch” based on their body of work versus their job titles or reporting beats alone. Today, the smart folks at Sawhorse Media, an early partner of Twitter’s with access to its real-time firehose, built a platform for both PR pros and reporters that made finding just the right journalist for one’s story idea easy and intuitive. Other than entertainers and politicians, journalists have embraced Twitter more than any other profession. MuckRack allows its premium users to search its journalist-only database by keyword, beat, Twitter bio, location, and media outlet. It’s great for building better-targeted media lists, and also provides journalists’ email addresses, their most recent coverage and tweets, and links to their social media profiles. The platform also lets you build/store lists and disseminate pitches. Cision: I’ve lost count of all the PR industry vendors Cision has gobbled up in recent years. Gorkana, Vocus, HARO, and PR Newswire are four that readily come to mind. Those alone make Cision a formidable competitor in the PR services sector. Its database of reporters and influencers is unrivaled in its comprehensiveness. That said, the user-interface of its Vocus-born platform still leaves room for improvement. It’s not naturally intuitive. There are still too many clicks needed to get from point A to point B. And I still can’t figure out the utility offered by the search bar at the top. Nonetheless, Cision offers a one-stop purveyor of PR tools and services — from media targeting to monitoring to analytics to press release distribution — that would be hard to find from any other stand-alone vendor. And again, once you’ve become adept at searching Cision’s voluminous database, you’ll surface quite a few more journalists than you knew existed. The service is not inexpensive, but indy practitioners have been known to share subscriptions. Bigger agencies and corp comms’ departments (with deeper-pocketed clients) have the budgets. ToutApp: Long gone are the days when a PR professional blasted out a “pitch” letter to a reporter and sat back wondering whether he or she ever opened it, let alone considered its editorial merit. “I’m calling to follow-up” is a no-no. The smarter PR set uses this platform or others like it that capture engagement to different degrees. Between the CRM solutions from GMail, Mailchimp, Meltwater, and SalesForce, PR types have many choices for their email marketing software. ToutApp allows me to do to send individually tailored emails to dozens of reporters with a keystroke and then registers whether the recipient opened the email and clicked on any of the links. The reporter sees only my name in the From section, and he or she looks to be the sole recipient (with the proper pre-programmed salutation). The read receipt works via a single pixel in the body of the email and a special address for links. The platform also allows you to store your lists and keeps track of the number of engagements for each recipient. It doesn’t allow you currently to export those lists as an XLS or CSV file, but it does allow you to import media lists as CSV files. Consider the reception you’ll get from a journalist who opens your “pitch” letter fraught with grammatical mistakes. Grammarly flags these issues in your digital output before you hit the send button. From misspellings to passive sentences to the lack of Oxford commas, this nifty free Chrome extension has saved me from potential humiliation on too many occasions. If you’re not sure where your writing stacks up, try this 25-question quiz. One drawback: if you’re drafting an email in rich text format (vs plain text format), any after-the-fact editing can play havoc with the email’s formatting, at least in Gmail. The extension allows me to search 50 email addresses/month, at no charge, outside of my first-level friends. If you’re looking to leverage LinkedIn for a massive CRM play, you’re best to subscribe. GetEmail.io leverages LinkedIn’s API to find anyone’s email with a reasonable degree of certainty. One Tab: Is your browser sluggish due to too many open tabs? Here’s a Chrome (and Firefox) extension that frees up “95%” of your RAM to allow users to work more productively even with numerous tabs open. OneTab collapses all your browser’s open tabs into a single tab, that looks like a drop-down menu when open. You can pull any tabs back into the main browser, or delete all with a single click. The net effect is much quicker page load times, and when you’re on deadline, that can add up. FWIW: this tool came to me via Product Hunt. Twitter: If journalist engagement is a core deliverable for PR pros and most journalists are active on this real-time news and social sharing platform, it behooves me to find those toiling in our industry without a Twitter presence. First, a search on a journalist’s Twitter feed will let you now whether he or she happens to be away or had a death in the family. For the annual CES Show in Vegas, for example, it is not unusual for certain tech reporters using Twitter to forewarn publicists about spamming them. Let’s just say you don’t want to be the one to violate their request. Secondly, many reporters tweet links to their latest stories, sometimes before their new org even posts them. If the story strikes a resonant chord for you, giving the reporter a like or retweet is a nice gesture. It also puts your name before that reporter for the next time you’re emailing him or her with a story idea. Name recognition in one’s inbox is a big plus when one considers the 6:1 ratio of PR people to reporters these days. Finally, and perhaps most importantly, the beauty of Twitter lies in whom you follow as opposed to the dopamine bump you might get from a like or a retweet. More specifically, using Tweetdeck, you can set up different feeds to follow based on the industry in which your client resides. From retail to health to beauty/fashion, finding and following the journalists and thought leaders in these areas will help you keep your finger on the pulse of what keeps your clients up at night. Hootsuite offers this function (and more). GE.TT – File sharing made easy. Sure, most business people prefer Dropbox, and it does the trick when you want to share large files unfettered by size-limiting firewalls of reporters or others. But some years ago, I discovered a simple file-sharing service called Gett, not to be confused with the ride-sharing service of the same name. It’s intuitive user interface and 2GB of free storage serves my needs rather well. That said, I also have a Dropbox account, but that’s for some of my larger clients with a multitude of media assets, video especially. One last piece of advice: do not solely rely on these tools to do your work, especially in the earned media space. A human touch is vital for success — from extra research to identify the exact right journalist to engage, to the language and tone used to do so. Best of luck.